Vicente Tomas (Ben) Garrido Blaz was born February 14, 1928, in Agana, the capital of Guam.2 Thirteen years old when the Japanese invaded Guam during World War II, Blaz worked in labor camps, building aviation fields, planting rice, and digging trenches until American forces retook the island in 1944.3 After the war ended in 1945, Blaz returned to school. In 1947 he left Guam after earning an academic scholarship to the University of Notre Dame, where he majored in physics and chemistry and earned a BS in 1951.4 While in school, he joined the U.S. Marine Corps Reserve at the onset of the Korean War. After graduating from Notre Dame, he was commissioned a second lieutenant. Blaz served two overseas tours in Japan and one in Vietnam. In 1963 he earned an MA in management from The George Washington University, and in 1971 he graduated from the Naval War College in Newport, Rhode Island. Blaz rose to the rank of brigadier general in 1977, becoming the highest-ranking Guamanian to serve in the U.S. military.5 That same year, he headed the Marine information division that was tasked with improving public relations in the post–Vietnam War era.6 Blaz’s military honors included the Legion of Merit, the Bronze Medal with Combat “V,” the Navy Commendation Medal, and the Vietnam Cross of Gallantry.7 Blaz married Ann Evers, a teacher, and the couple had two sons, Mike and Tom. After retiring from the military in 1981, Blaz returned to his native island, where he taught at the University of Guam. He received an honorary LLD from the University of Guam in 1974. At the beginning of the 99th Congress (1985–1987), the freshman class elected Blaz as its president, marking the first time a Territorial Delegate held this informal leadership position.18 Blaz received two committee assignments: Armed Services and Interior and Insular Affairs. Both fit his legislative interests and allowed him to oversee and influence legislation affecting Guam. Blaz retained these two assignments during his eight years in the House. In the 100th Congress (1987–1989), he also had a spot on the Foreign Affairs Committee, which he kept until he left Congress in 1993. 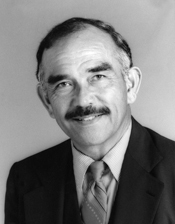 From 1985 until 1993, he served on the Select Committee on Aging. While in the House, Blaz worked on a range of issues to fortify Guam’s economy. The island relied heavily on the fishing industry. During the 99th Congress, Blaz introduced a bill to amend the Immigration and Nationality Act to allow alien crewmen working on U.S. fishing boats to go ashore while working in Guam. As Guam was the home port for America’s western Pacific tuna fleet, which supplied much of the tuna for the United States, the fleet’s presence had a major impact on Guam’s economy. Blaz’s measure called for the continued presence of U.S. fishing fleets and the same shore leave privileges for all crew members, regardless of their national origin. “Since Guam is America’s bridge to the Pacific and its finest symbol it is essential that the free enterprise system flourish there,” Blaz observed.23 Blaz’s bill became law on October 21, 1986. The Guam Delegate also sought to extend supplemental security income (SSI)—federal benefits for low-income, disabled, or elderly American citizens—to his constituents. Blaz introduced legislation to “reverse the meaningless discrimination” of SSI funding, which included residents of the District of Columbia and the Commonwealth of the Northern Mariana Islands but not the residents of other U.S. territories like Guam. “Affording these benefits to residents of one island and not to another is tantamount to extending benefits to residents of Chicago’s North Side but not to fellow Americans in the South Side,” Blaz concluded.24 Blaz also supported federal assistance for educational programs in Guam, including funding for vocational education and improvements to elementary and secondary education. To help the many veterans residing in Guam, Blaz introduced the Veterans’ Educational Assistance Act during his first term in the House. The measure called for expanded eligibility for basic assistance under the GI Bill. 1Congressional Record, House, 101st Cong., 1st sess. (9 March 1989): 4007. 2Formerly called Agana, Guam’s capital was renamed Hagatna, which is Chamorro. The names of Blaz’s parents did not appear in any secondary sources, campaign materials, or newspaper articles. The 1930 Census listed a Vicente G. Blas born in Guam in 1928, to Vicente and Rita Blas. Fifteenth Census of the United States, 1930: Population, Piti, Piti, Guam, Roll 2629, sheet 1A, p. 293, Library of Congress, Washington, DC, http://search.ancestrylibrary.com (accessed 25 May 2012). 3“Vicente Tomas (Ben) Blaz,” Bisita Guam with Ben Blaz, accessed 9 January 2012, http://bisitaguam.com/bio/index.html. 4Neither the name of the high school Blaz attended nor the date of his high school graduation is available on his website, “Vicente Tomas (Ben) Blaz,” accessed 11 April 2011, http://bisitaguam.com/bio/index.html. Newspaper accounts provide contradictory information about the high school Blaz attended. See, for example, “Election 1992, a Special Project of the Pacific Daily News,” 2 November 1992, Pacific Daily News (Guam): 2; Jeremiah O’Leary, “Guam Delegate’s Rise Parallels Struggle for Civil Rights,” 17 July 1989, Washington Times: B1. 5Elaine Santos, “The Delegate,” 4 November 1984, Pacific Daily News (Guam): 3. 6Harold J. Logan, “Information Head Says Marines Must Be Open to Scrutiny,” 2 July 1977, Washington Post: A6. 8Susan Kreifels, “‘We Deserve a Rightful Spot,’” 29 October 1982, Pacific Daily News (Guam): 3. 10Office of the Clerk, U.S. House of Representatives, “Election Statistics, 1920 to Present,” http://history.house.gov/institution/election-statistics/election-statistics/. 11“Rival’s Tally in Guam Overshadows Incumbent,” 3 September 1984, New York Times: 9. 12Elaine Santos, “Won Pat, Blaz Face Off,” 1 November 1984, PacificDaily News (Guam): 1. 14“Ben Blaz on Issues,” Ben Blaz campaign advertisement, 2 November 1984, Pacific Daily News (Guam): 9; “Issues Facing Guam Now,” Ben Blaz campaign advertisement, 3 November 1984, Pacific Daily News (Guam): 41. 16Paul J. Borja, “Blaz: On a New Mission,” 12 November 1984,Pacific Daily News (Guam): 1. 17Congressional Record, House, 99th Cong., 1st sess. (24 July 1985): 20180–20181; “House Rejects Bid to Overturn Election of Guam Delegate,” 25 July 1985, Los Angeles Times: 23; “House Denies Won Pat Challenge,” 26 July 1985, Pacific Daily News (Guam): 1; Stephen Labaton, “Guam Delegate Resists Demand for Runoff Vote,” 6 June 1985, Washington Post: A7; Stephen Labaton, “Guam’s Seat in Congress Still Disputed,” 4 June 1985, Washington Post: A12. 18“Minority Reports,” 16 December 1984, New York Times: E20. 19Congressional Record, House, 102nd Cong., 2nd sess. (5 February 1992): 1691. 20Congressional Record, House, 99th Cong., 2nd sess. (26 November 1991): 35435. 21Blaz took command of the Ninth Regiment of the Marines 27 years after the liberation of Guam. Blaz recalled escaping with several companions from a Japanese concentration camp shortly after U.S. troops invaded Guam in 1944. The Marines mistook Blaz for a Japanese soldier and briefly held him as a prisoner of war. According to Blaz, the Japanese captured and killed two Guamanians in his group who ran in a different direction. See Bernard E. Trainor, “Lack of Vote Doesn’t Deter Delegate from Guam,” 3 February 1988, New York Times: B6. 22Hearings before the House Committee on Resources, Guam War Claims, 109th Cong., 1st sess. (20 April 2005); James Brooke, “Decades after Abuses by the Japanese, Guam Hopes the Military Will Make Amends,” 14 August 2005, New York Times: 16. 23Congressional Record, House, 99th Cong., 2nd sess. (12 May 1986): 10276. 24Congressional Record, House, 102nd Cong., 2nd sess. (18 February 1992): 2452. 25Tambra A. Bryant, “Guam Dems: Clinton Win Would Help Underwood,” 4 November 1992, Pacific Daily News (Guam): 3. 26Congressional Record, House, 100th Cong., 2nd sess. (7 March 1988): 3500. 27For detailed information on the commonwealth movement in Guam, see Robert F. Rogers, "Guam's Quest for Identity," Pacific Studies 12 (November 1988):49–70; Robert F. Rogers, Destiny’s Landfall: A History of Guam (Honolulu: University of Hawai‘i Press, 1995): 271–290. 28Ben Blaz, “Guam: Equal in War, But Not in Peace,” 19 October 1991, New York Times: 22. 29Congressional Record, House, 99th Cong., 2nd sess. (1 August 1986): 18622. 30Congressional Record, House, 99th Cong., 1st sess. (19 November 1985): 32463. 31Office of the Clerk, U.S. House of Representatives, “Election Statistics, 1920 to Present”; “About Senator ben” on Senator Vicente (ben) Cabrera Pangelinan’s official website, accessed 4 January 2012, http://senbenp.com/?page_id=6; “Guamanians Cast Ballots in U.S. Territory’s Primary Election,” 6 September 1986, Associated Press. 32Donovan Brooks, “New Turn on the ‘High Road,’”10 November 1992, Pacific Daily News (Guam): 1; Donovan Brooks, “Grassroots, Media Use Called Key to Success,” 11 November 1992, Pacific Daily News (Guam): 7. For an example of Blaz’s campaign advertisements, see “Ben Blaz for U.S. Congress,” 1 November 1992, Pacific Daily News (Guam): 14. 33Bryant, “Guam Dems: Clinton Win Would Help Underwood”; Frale Oyen, “Election Postponed,” 3 November 1992, Pacific Daily News (Guam): 1. 35“Vicente Tomas (Ben) Blaz,” accessed 9 January 2012, http://bisitaguam.com/bio/index.html; Matt Schudel, “Vincente T. ‘Ben’ Blaz, Marine General and Guam Delegate, Dies at 85,” 24 January 2014, Washington Post, http://www.washingtonpost.com/national/vicente-t-ben-blaz-marine-general-and-guam-delegate-dies-at-85/2014/01/23/a41a445c-8397-11e3-9dd4-e7278db80d86_story.html (accessed 26 February 2014). Papers: 1984-1992, 8 linear feet. The Ben Blaz papers document his service as a Delegate in the U.S. House of Representatives. The collection contains bill files, correspondence, news clippings, and reports. An inventory is available online. Oral History: 1994, 60 pages. An interview conducted on October 8, 1994, with Brigadier General Ben Blaz, a Marine Corps veteran, concerning his experiences as a teenager during the Japanese occupation of Guam during World War II. The appendix includes a photocopy of a typed biography of Ben Blaz. "Ben Garrido Blaz" in Hispanic Americans in Congress, 1822-2012. Prepared under the direction of the Committee on House Administration by the Office of the Historian and the Office of the Clerk, U.S. House of Representatives. Washington: Government Printing Office, 2013. "Ben Garrido Blaz" in Asian and Pacific Islander Americans in Congress, 1900-2017. Prepared under the direction of the Committee on House Administration by the Office of the Historian and the Office of the Clerk, U.S. House of Representatives. Washington: Government Publishing Office, 2018. Blaz, Ben Garrido. Bisita Guam: A Special Place in the Sun. Fairfax Station, Va.: Evers Press, 1998.